Density – This is the primary factor to take into consideration. This is measured as the weight of 1 cubic foot of the material. The standard range of densities goes from 2.5 all the way to 7 pounds. The lower densities are cheaper, less viscous and are less likely to overheat. At the other end, it is more expensive, more viscous but tends to retain heat much more. Temperature sensitivity – This is how much the memory foam mattress Canada will react to your body. Memory foam molds itself to the shape of the individual based body heat. The more sensitive, the faster it will shape itself as well as restore normal shape. 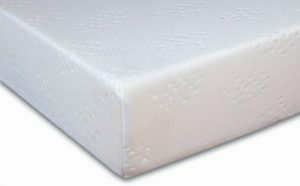 Heat sensitive memory foam shapes quickly and is the type that provides that sinking feeling. Temperature neutral, on the other hand, does not respond much to the standard range but also recovers quickly. Type – There are three types of memory foam. The first is the standard made from polyurethane foam sheets. The other two are gel and plant based. The gel version is supposed to be cooler as gel beads are infused into the foam. The plant-based version combines soy or castor oil with the memory foam to make it more environmentally friendly.